I have been focusing on the Renaissance and Enlightenment eras looking for Jewish influence as I go. Miles Mathis makes a pretty good claim the "The Medici's, a powerful political-crime-banking family from the 14th century through the 18th century, were likely krypto Jews. He backs it up by noting the Jewish features of Cosimo Medici and noting that Jewish fortunes in the areas dominated by this clan rose and fell with those of the Medicis. Why is the connection so tight? More discovery is needed. Here's the link to the article. "In truth, with the possible exception of the Borgia Pope, the de' Medici Pope was the most corrupt, venal, disgusting pervert ever to sit in a chair. What is more, that was his assignment. Lorenzo (Medici) clearly bought the Papacy for the express purpose of corrupting it. He, no doubt, instructed his son to act as anti-holy as humanly possible. For the record, it is likely the de' Medicis also bankrolled the Protestant response to Leo X. That is, there is some evidence Martin Luther was the controlled opposition, paid to publicize the atrocities of the Pope throughout Europe. 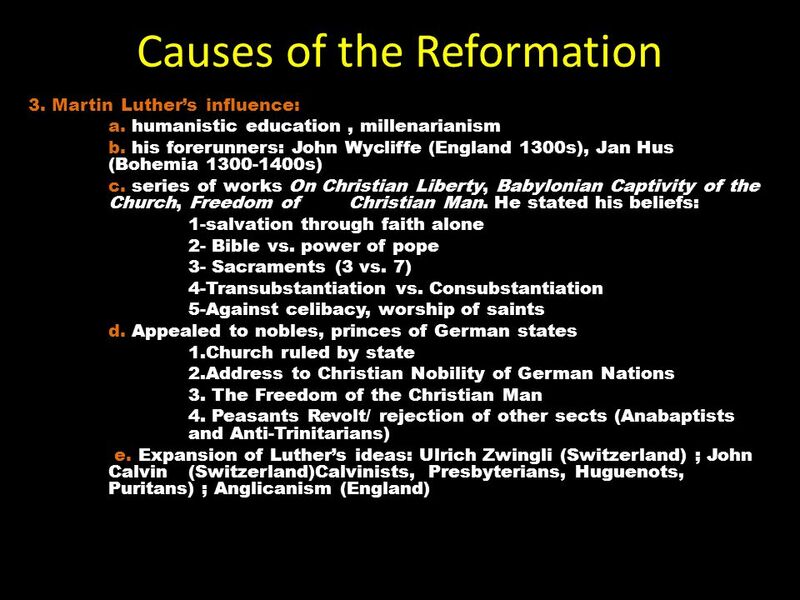 Luther was even accused by his Catholic enemies of being a crypto-Jew himself, out to destroy Rome. In support of that, we find that Luther's mother was née Lindemann." He sold favors and sin forgiveness, etc. Well, this probably is what Martin Luther used to denounce the Catholic Church thus sparking the Protestant revolution to soon follow. Think some Jewish subversion on both sides occurred there, maybe? Highly likely. To reiterate, Jews inject discord into an environment that previously was content with the status quo. After this, they ramp up the response to that discord, through covert and indirect ways and then they overtly enter onto the center stage to arbitrate or fund the two sides as the supposed "good guys". Jews and Merchants wanted to weaken Catholicism-bottomline Much havoc follows usually avoiding damage to Jewish property, many goyim are killed (the Thirty Years War) and, voila, you now have two sides when there was previously only one and a vehicle for endless bickering thereafter. Endless bickering between goyim is what Jews strive for. Simply look at the political dialogue ongoing in today's world and it is mostly arguments being fomented by the Jewish press and rarely includes the Jewish problem as something to consider. So I was into all that and when you are reading about this time frame, you inevitably run into the Jewish Chris Colon and his voyage to the new world coinciding with the Spanish Inquistion"s "Edict of Expulsion" for all practicing Jews. But let's face it, highly placed Jews already embedded within the Spanish and Portuguese power system probably didn't clean out their offices on that day. Much more likely that ordinary Jews felt the immediate ramifications of the edict and this is evidenced by Portual and Spain continuing tolead the way in exploration and colonizing throughout the rest of the 16th century. Other European nations soon disputed the terms of the Treaty of Tordesillas, which they had not negotiated. England and France attempted to plant colonies in the Americas in the sixteenth century, but these met with failure. However, in the following century, the two kingdoms, along with the Netherlands, succeeded in establishing permanent colonies. So, though Jewish power is beginning to migrate into the rest of Europe and move it's center of power to Amsterdam, it took a good century to make that happen in full. Again, notice Portugal and Spain had agreed to share the New World between themselves! We find quite a few Jews playing important roles in these earliest Spanish endeavors (Columbus was a secret Jew, he was financed for his voyage by Jews and his peers onboard were Jews) and it was in the 16th century that Jews introduced the African slave trade to the Americas. However most colonized areas were in South America and the Carribean. As Jews begin to relocate throughout Europe and leave their former Muslim stronghold, the renmnants of their expertise and focus in their former homelands linger to the advantage of Spain and Portugal. By 1600, Jews have embedded in Amsterdam and helped form the Dutch West India Company which they will quickly dominate and the Netherlands starts rearing it's maritime prowess. It is considered that in the 17th century, the Netherlands was the premier sea power. Coincidence? Jews form a new banking center in Amsterdam and, soon after, the Dutch are doing better in the colonial world than the Spanish and start challenging the status quo. The golden age of the Dutch was short-lived, however. Short lived in accordance with Jewish power moving it's center to England after the English Revolution. Where Jewish power goes, colonial power goes. The tall tale written in history, that these were European caucasians exploring and exploiting, begins to be revealed for the true reality. These Europeans had become the "house niggas" of the elite Jewish international mafia that was using European resources for their own aims to exploit resources all over the world. Giovanni Caboto established the 1st colony in North America, though it didn't last in Newfoundland. He was an Italian that sailed for England under the name of John Cabot. England tests the water for real with Jamestown and Plymouth Rock. By the way, the Puritans apparently took a vote when they arrived on whether to make English or Hebrew the official language. Make of that what you will but from all I have read, the reformation revolt was an effort to Judaize Christianity and these Puritans fit that description. Meanwhile, the Jews have settled into Amsterdam, the Dutch West India Company has been created and New Amsterdam (Jew York) becomes the first Dutch colony in coordination with the Dutch West India Company in 1621. Remember we are following the coordination between the roaming Jewish power center and how that associates with various countries success in the colonizing game. "It was fated that England should be the first of a series of Revolutions, which is not yet finished." With these cryptic words Isaac Disraeli, father of Benjamin Earl of Beaconsfield, commenced his two volume life of Charles I published in 1851. With the impeachment and execution of Strafford, the powers behind the rising Calvinist, or Cohenist, Conspiracy began to reveal themselves, and their focus, the City of London. From O.C. (i.e. Oliver Cromwell), by Ebenezer Pratt (Jew). In return for financial support will advocate admission of Jews to England: This however impossible while Charles living. Charles cannot be executed without trial, adequate grounds for which do not at present exist. Therefore advise that Charles be assassinated, but will have nothing to do with arrangements for procuring an assassin, though willing to help in his escape. As Jews gain power over England, we see slavery on the rise and being legalized in her colonies and then what happens. The world's most powerful maritime country, Holland is demoted by England through a series of skirmishes and by 1700, England has secured the number 1 position. Coincidence? Jews moving their power base to "the City of London" timed with increased activity in the colonization game and increased prowess in the Maritime era? Coincidence that in 1664, New Amsterdam is turned over to the English and becomes New York? Notice once more, that as Jews vacate Spain and Portugal and go to Amsterdam, the fortunes of those countries change accordingly. Now, in taking over England, we are now about to see England become the world power. This is the Jew secret. To control things but give others the credit and let others take the fall when things go well or bad. Notice, Jews are never mentioned in this typical video, above, about the short war period between the Dutch and England. It's as if the Jews have demoted the Netherlands in favor of England but have to let the goy have a roustabout to give it a public sanction. "The real objective of the 'Glorious Revolution' was achieved a few years later in 1694, when the Royal consent was given for the setting up of the 'Bank of England' and the institution of the National Debt. Also note that the American Revolution was fought for these very principles that the Jews instilled after the English Revolution. Jews have been in control of America from the very beginning and even the supposed "red pill" swallowers wishing to return the country back to it's earlier ideals haven't a clue they, in their resistance, are advocating for a Jewish liberalism of the good ole days (change for the goyim better is impossible without recognition and appropriate action taken concerning "The Jewish Problem"). By this lack of awareness, all those in favor of a "return" have voluntarily "co-opted" themselves to the Elites. Of course, now, the JWO has evolved to a point that America has to be torn apart as international Jewry has felt compelled to tear apart or enable it's accomplishments in so many other places. We beeze about ta gettin demoted to field niggaz and de be goin to shootin us right quick like. We are near Albert Pike's 3rd World War end game scenario that is destined to provoke world wide carnage that will enable the Jewish anti-Christ to assume the throne and Jews to live out their age old belief as being god's rightly designated "chosen people". Here is reaffirming proof that colonialism is Jewish!. Below is a video showing English territory fluctuation beteen 500 AD and now. Notice that colonialist expansion started after the English Revolution. An excellent video reaffirmation of a claim I have been making for the last year. Colonialism is a Jew thing!